Kauai is a place that sets the imagination soaring. Her extraordinary beauty and charm have been immortalized in dozens of Hollywood films and television shows and yet, there’s nothing like seeing the real thing. 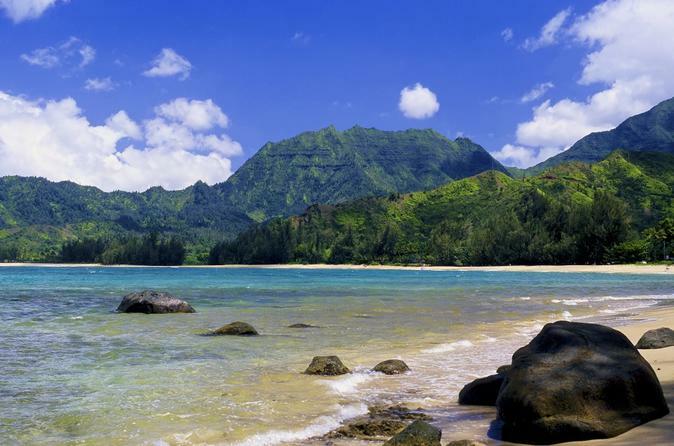 Kauai is a place that sets the imagination soaring. Her extraordinary beauty and charm have been immortalized in dozens of Hollywood films and television shows and yet, there’s nothing like seeing the real thing. The Hawaii Movie Tours® on Kauai is a unique opportunity to experience the island through the filmmaker’s lens on an incredible guided tour of Kauai’s famous movie locations. The fun-filled & expertly narrated tour is aboard an air-conditioned minibus that will stop at Kauai’s iconic movie locations while also viewing film clips of some of Hollywood’s most notable movies filmed on the island. Wailua Falls* Fantasy Island Dragonfly, Castaway Cowboy, The Amazing Race, and Tropic Thunder. Hanama'ula Bay* Donovan’s Reef, Pagan Love Song, Six Days, and Seven Nights, and Voodoo Island. ʻŌpaekaʻa Falls Lookout* Donovan’s Reef, Lt. Robin Crusoe, USN, and Seven Women from Hell. Moloaʻa Beach* Gilligan’s Island and Castaway Cowboy. Lunch service provided by Aqua Kauaʻi Beach Resort between the 12:00pm – 12:30pm. Club House Sandwich - Sliced roasted turkey and crispy bacon with lettuce, tomato, and mayonnaise served with a pickle spear and potato chips. Coffee, hot tea, ice tea, or soda. Vegetarian Sandwich is available when ordered in advance. Note: Please advise reservation agent of any food allergies upon booking or include in notes. Guests should advise server of any food allergies when dining.